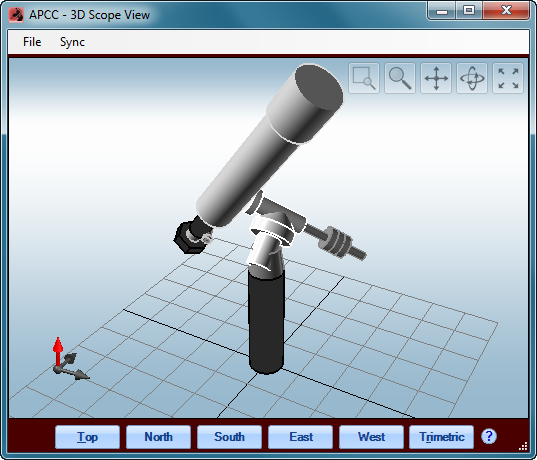 This is the Main Window of the APCC Standard Version. The Setup Tab is visible and various other tabs, the 3D View or Status Window can be easily selected. 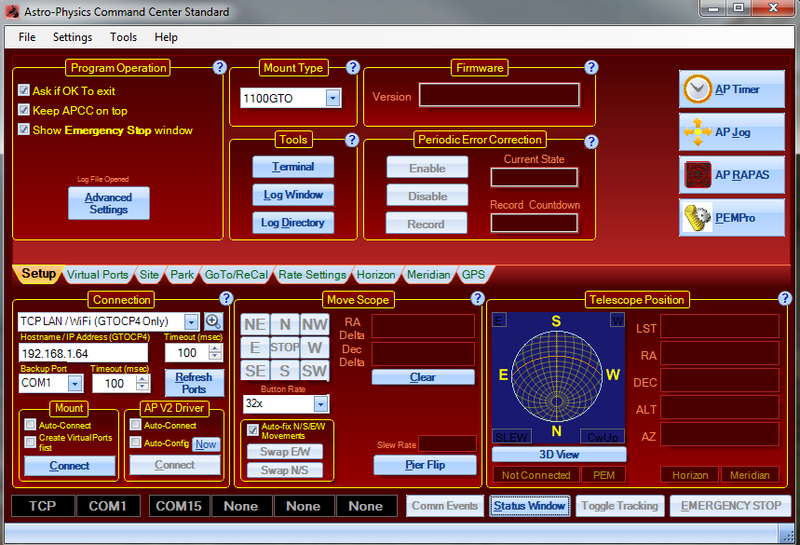 The telescope position values continually update and the graphic plots the position of your telescope and indicates the pier side. Move commands are readily available as is the status bar on the lower portion of the window. Connection information is always visible. Note that you can set up a backup COM port that will be available if you experience connection problems with your primary port. The circular help buttons direct you to the specific part of the manual that discusses the function of the group box - a very handy and useful feature!.